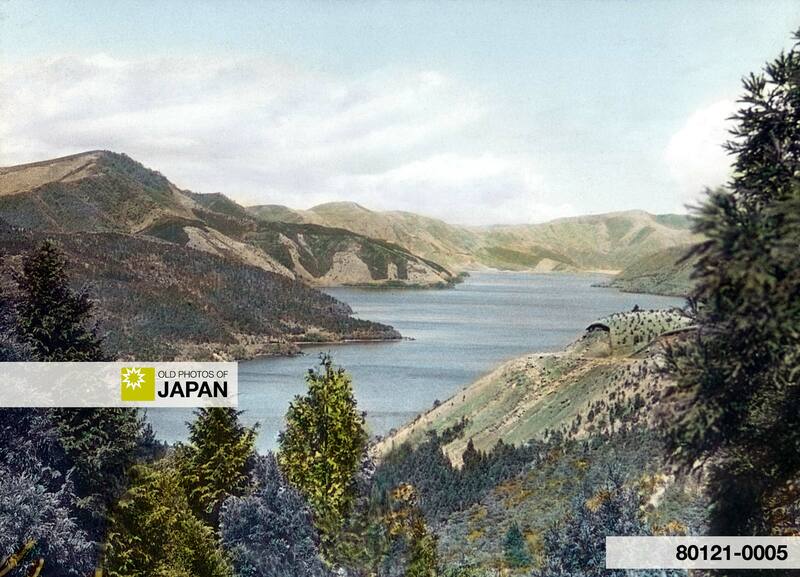 Hakone Lake, also known as Lake Ashi (芦ノ湖, Ashinoko), is located in the Hakone area of Kanagawa Prefecture. It is surrounded by volcanic mountains and offers beautiful views of Mt. Fuji. You can also licence this image online: 80121-0005 @ MeijiShowa.com.